When asked what they envisioned for their living and dining room Tweak, the clients responded with “colorful WOW factor”, so we gave it to them! 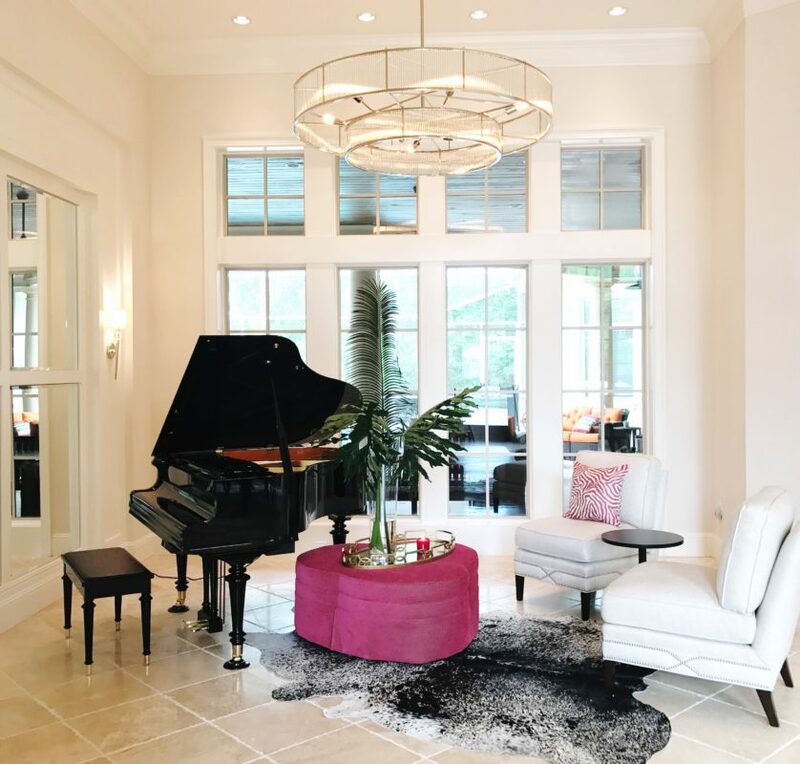 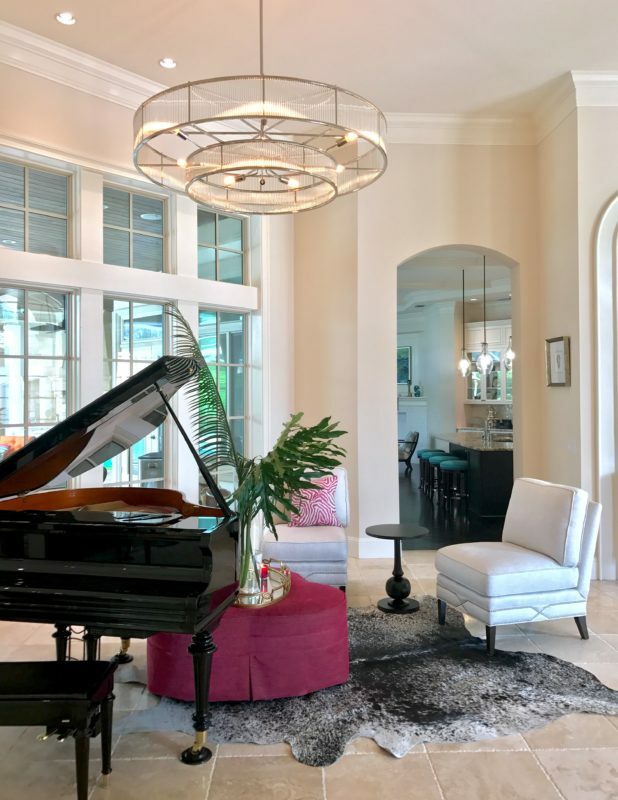 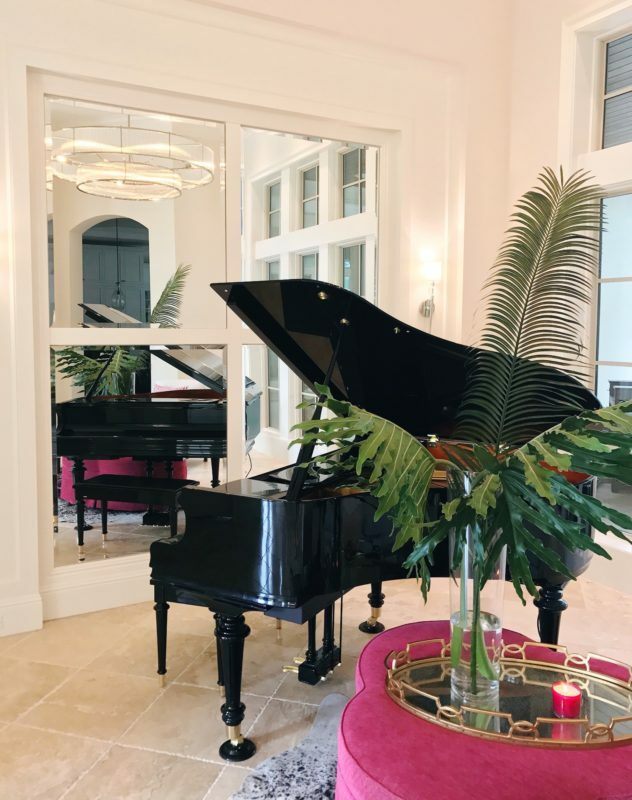 We utilized the baby grand piano that was already in the space and took cues from the rest of the home when deciding on the decor. 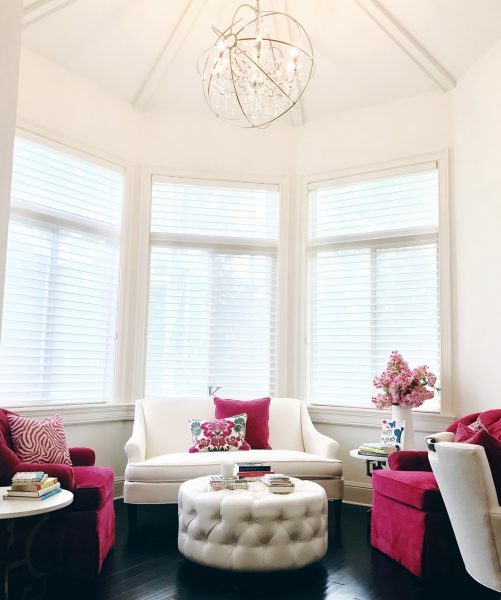 The home itself is decorated with strong pastel colors like deep aqua/blues, lavender, and pink colors so we chose to go bold! Moving the piano toward the center of the living room and hanging a 60″ chandelier over top, cranked up the bold factor. 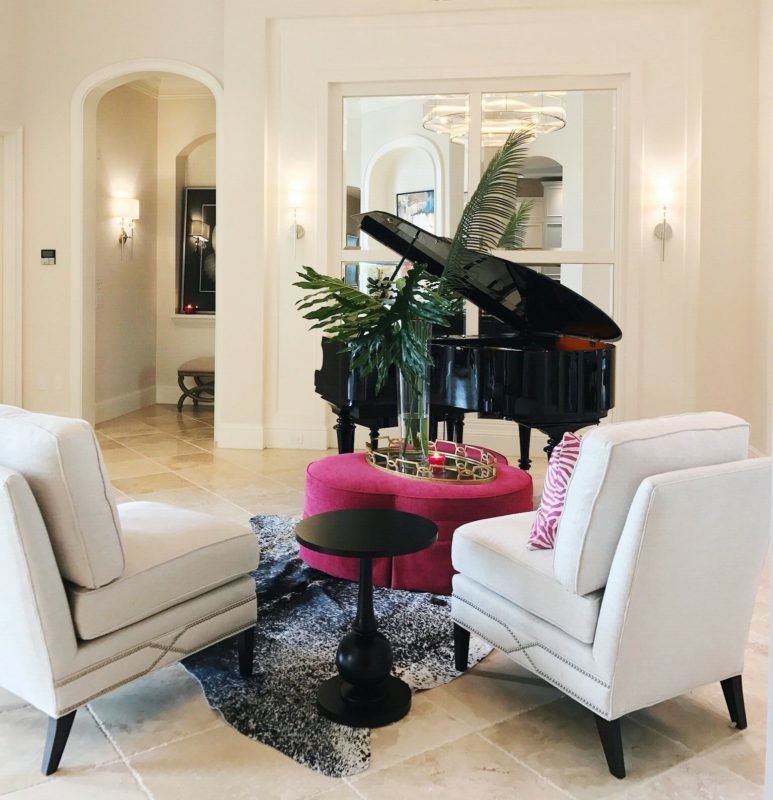 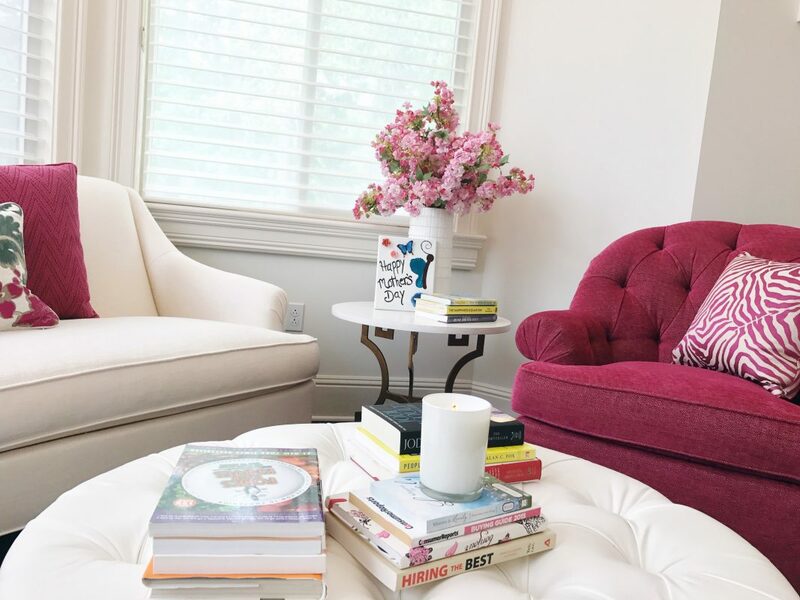 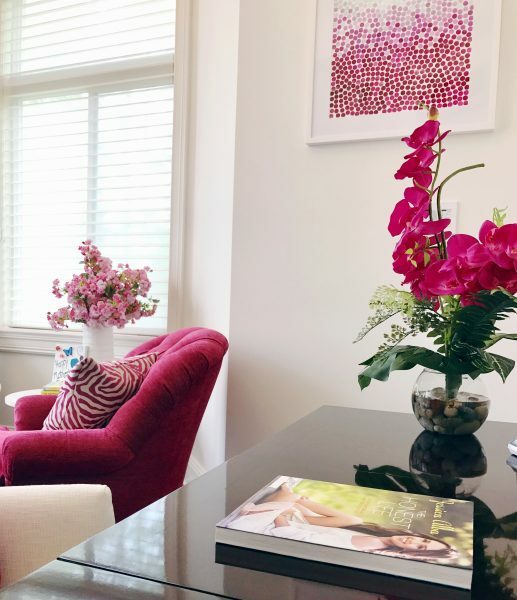 We chose hot pink, lime green, and blue for accent colors that perfectly tied the pre-existing decor together, while still allowing the space to retain its classic black and white style. 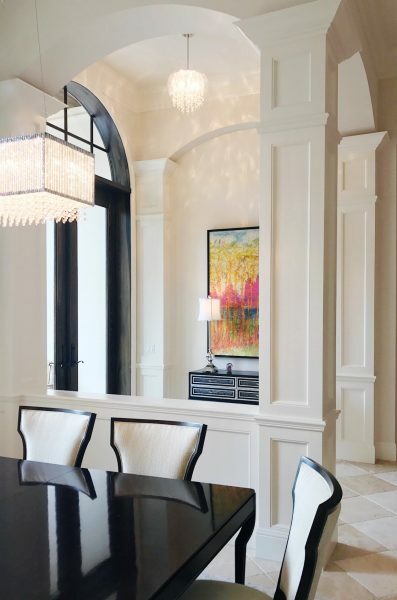 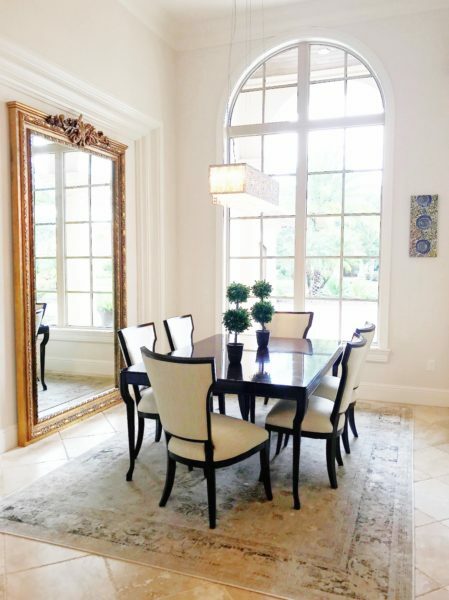 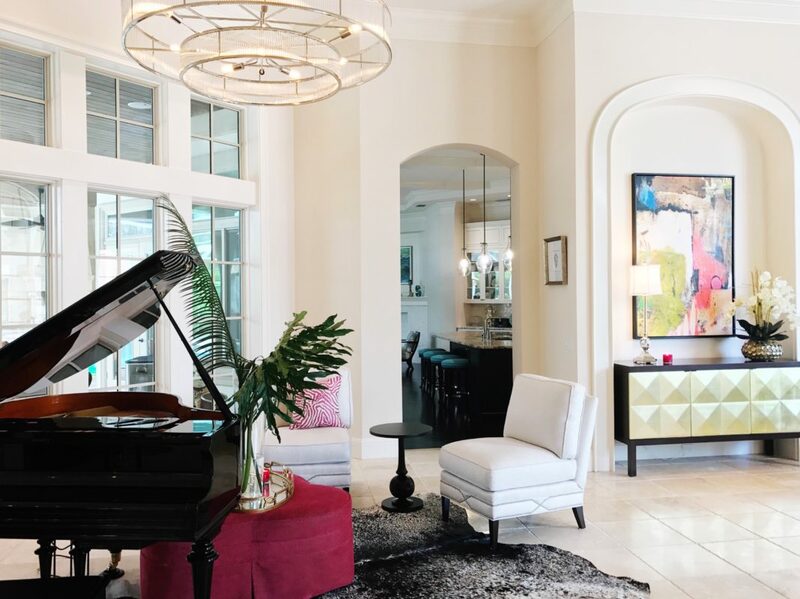 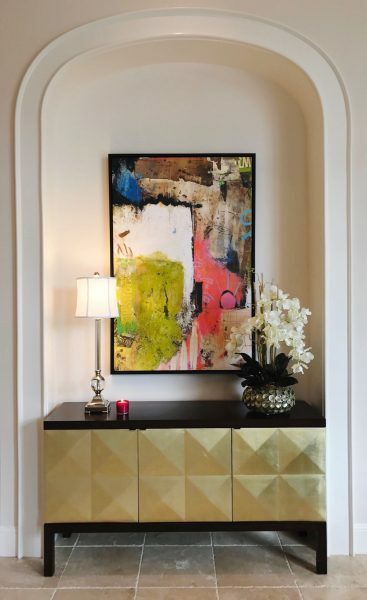 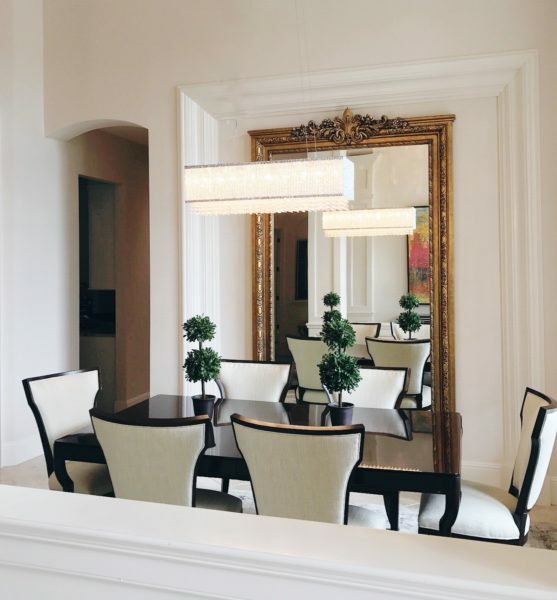 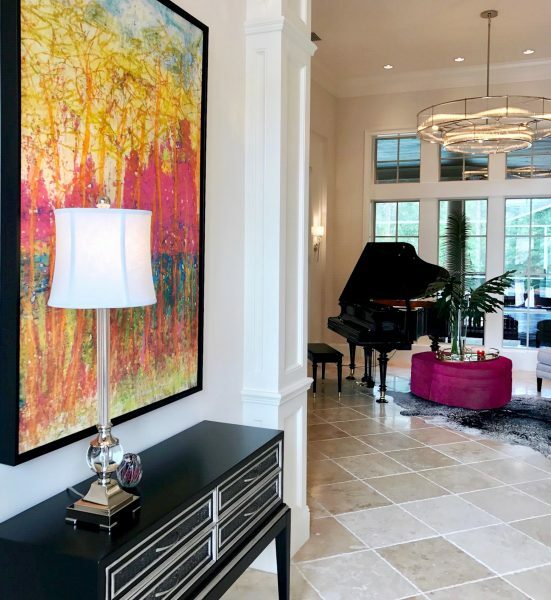 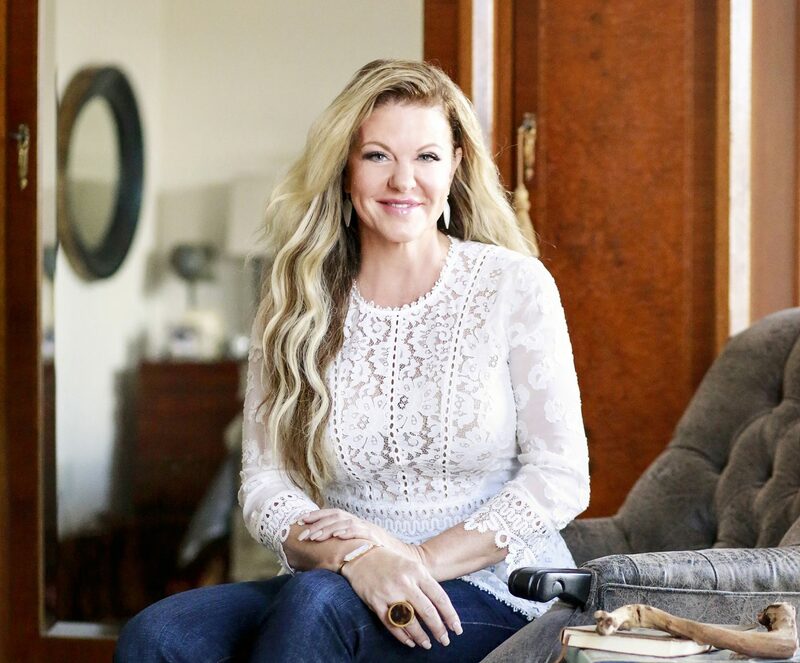 Choosing large scaled items like the massive chandelier, art, and the beautiful gold mirror in the dining room, gave drama to the spaces giving our homeowner’s the WOW factor they were looking for.